I like to cook, but I don’t always like to go grocery shopping. I like to cook, but I don’t always enjoy meal planning. I like to cook, but sometimes I just wanna mix things up and try something new. I don’t really know how to cook, but I want to learn. Help? Sometimes, I don’t feel like cooking at all. I don’t even want to go pick up takeout. I just want food delivered to my door. If any of those statements resonates with you, then you may want to consider a meal delivery service! Meal delivery services are cropping everywhere, and I feel like I’m just starting to get the hang of one when another new one pops up. I’ve tried four of the options offered in the SF Bay Area so far, so I can give you the lowdown on how they work, how they differ, and which one would fit your needs best! 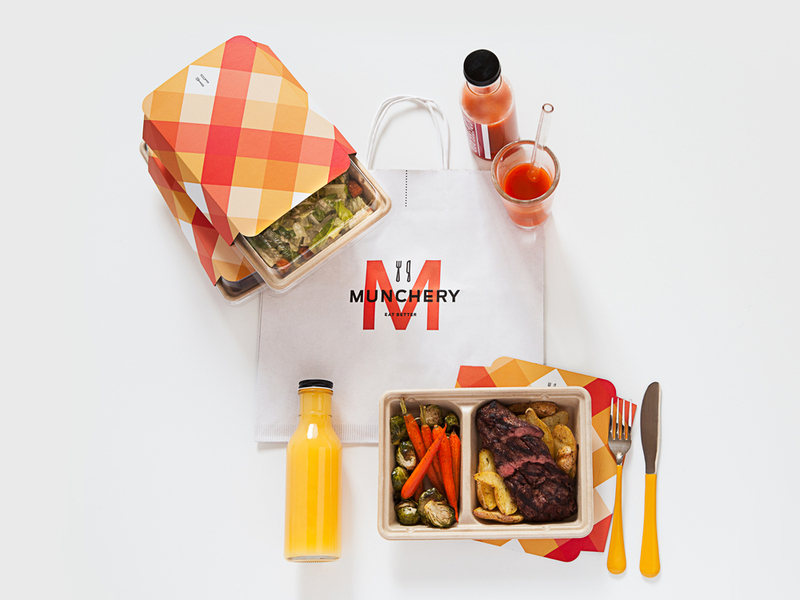 Here is my review of The Munchery, Gobble, Blue Apron, and Door Dash. The Munchery is advertised as “Fresh ingredients. Chef-made. Delivered. Ready when you are.” Complete, chef-prepared meals are prepared and chilled ahead of time. It arrives at your doorstep on the day you want, chilled and ready for reheating. There is a nice variety of food to pick from on the menu and you can spoil yourself with little treats like cookies and fancy cheese plates if you are so inclined. Cost: Entrees go for about $9-14 (extras available for more). Delivery fee is $2.95. No prep or cooking involved– just reheat. Their website and app are easy to use and beautifully designed. Everything looks amazing. You can get optional gourmet-looking sides, salads, desserts, or drinks added on (for extra cost). For every meal you purchase, a meal is donated to a person in need! You don’t need to be home at time of delivery. Cons: You don’t get the self-satisfaction of cooking it yourself. Bottom Line: This is for the person who doesn’t want to cook, but is tired of takeout from restaurants and wants freshly prepared food delivered to their door. Gobble advertises itself with “farm fresh 10-minute gourmet dinner kits with 3-step instructions delivered to your door.” Dinner kits are filled with fresh pre-chopped and par-cooked ingredients so all you really have to do is finish off cooking by throwing everything together in the pan to finish. Straightforward and simple. Cost: ~$12-14 per meal (depending on number of meals ordered). Includes delivery. Not too much prep, not too many dishes. You still get to cook, but it’s pretty quick with very straightforward instructions and a few components (like sauces and dressings) prepared ahead of time for you. You can send back your fancy packaging materials for sanitation and re-use for free! Yay for eco-friendly businesses. Meals only arrive on Tuesdays, Wednesdays, or Thursdays. The food is decent, but not amazing. Bottom Line: This is a good starting place if you want to try cooking on your own but don’t have an hour to spend on it. The ingredients are still fresh, but details like sauces or dressings are pre-made and ready to use. It feels like you made the meal yourself, but doesn’t take too much prep time or dishes to wash afterward. Blue Apron is the most work- and time-intensive service listed here. You basically get all the raw ingredients and detailed instruction cards, and are expected to prep the meal from start to finish. While each of my meals have come out looking beautiful and tasting pretty great, I can’t say I’ve always enjoyed the whole process. For one, they don’t tell you what you’re finely chopping your 1 teaspoon of tarragon for, so it’s not until the end when you’re like, “Ohhh, this was just a garnish for the fish…” And it isn’t until you’ve painstakingly minced your garlic and poured out exact amounts of olive oil and balsamic vinegar (which, btw, comes in adorable little bottles that you may be tempted to collect and keep (don’t)) that you realize you just made your own vinaigrette. I can’t help but think they could have saved us all some serious time and packaging if they just mass-produced some vinaigrette or yogurt dipping sauce and packaged it in a bigger container bottle for us to toss our salads or dip our chicken tenders with. 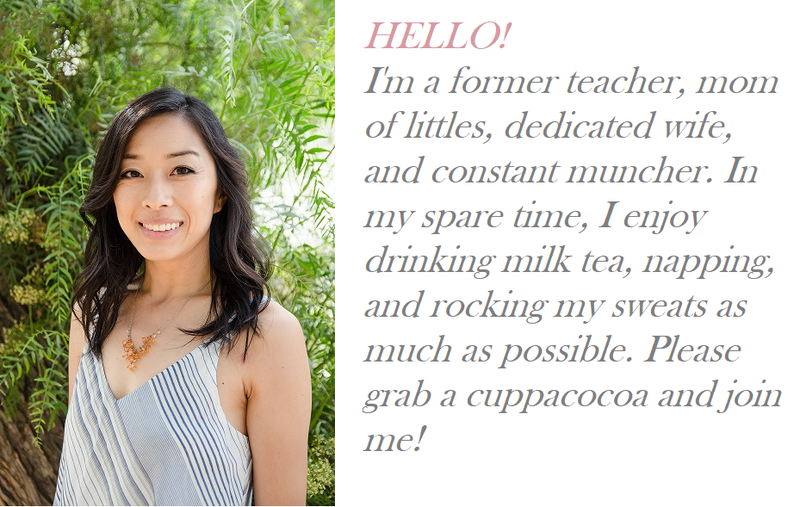 But I guess part of the point of this particular service is the satisfaction of knowing that you made everything from scratch yourself– even if it means they package tiny amounts of Tabasco sauce and cute little tablespoons of vinegar in minute, doll-sized bottles for you. I will say that the quality of their produce (especially their proteins) have always been top notch, so even though the portions always feel too small for us, at least we’re getting quality ingredients. I spend about 10 minutes organizing all of the ingredients into baskets (not included) whenever a delivery comes. You get to learn new techniques and try new dishes that you probably wouldn’t bother to try on your own. The quality of the produce and meats has always been fresh and good quality. They provide the small amounts of herbs, spices and knick knacks that you probably don’t use too often which allows you to experiment with new flavors in your own kitchen without getting 10x more curry powder or sage than you know what to do with. You have the self-satisfaction that you really prepared this whole meal yourself from start to finish. The prep work is more time-consuming. You really have to read and follow the prose-style instructions (vs. Gobble’s straightforward 10-minute, 3-step instructions). Portions are a bit small (and we’re not particularly big eaters). Only delivers on some days of the weeks. There don’t appear to be any good options for packaging reuse. A lot of fancy freezy gel stuff and packaging material go into this box and then never get reused. You have options to recycle most of your stuff, but it still feels like a huge waste. Not as eco-friendly as Gobble’s program. Bottom line: This is for someone who wants to try new dishes, learn some new techniques, and has time to do full prep for a full meal. If you don’t care to make your own delicately seasoned sauce to drizzle over your pan-fried chicken, this may not be the service for you. DoorDash Food Delivery is “Your favorite local restaurants delivered to you.” It makes it possible to get Ike’s Lair delivered straight to your door. The app allows you to see at a glance how long the wait time is until delivery from each restaurant, which is handy if you’re feeling hangry and getting food ASAP is more important than eating from a particular restaurant. The app also keeps you posted on when your food has been picked up, and gives ETA updates during the 30-40 minutes that pass from the time of submitting your order. Cost: Delivery fee is $5.99 (with optional additional tip for driver). Food costs vary depending on the restaurant you select. No prep or cooking involved. Just plain and simple takeout delivered to your door. You can enjoy fancy Italian food for dinner while vegging out in your PJs. You don’t get the self-satisfaction of cooking it yourself. You need to be home at time of delivery. Bottom line: Great way to get takeout delivered to your door from restaurants that don’t traditionally offer takeout service. If you’ve tried them, share your thoughts in the comments below! And if there are others you’ve tried that I didn’t list, I’d love to hear about them. With our next baby on the way, I’m eager to find ways to simplify things and make home life more enjoyable while still gathering together for meals at the table! 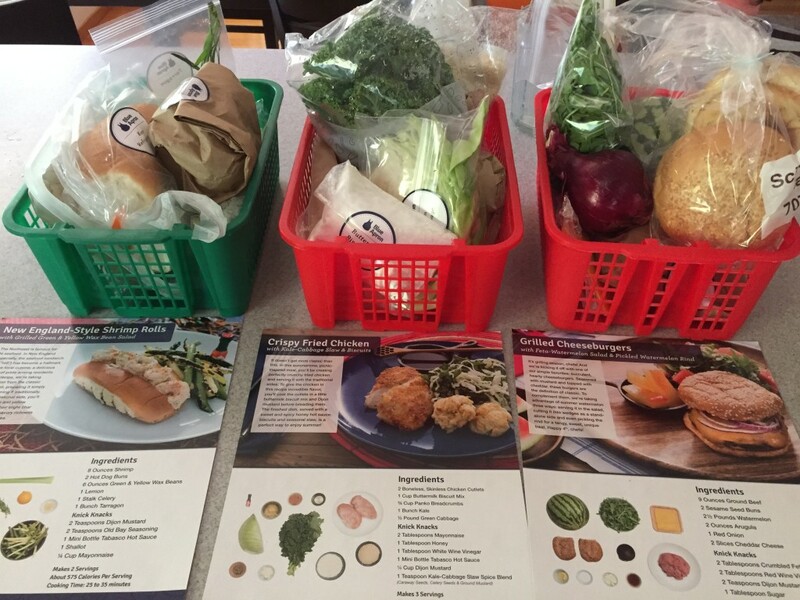 Blue apron offers family meals. It’s usually big enough for 2 adults, 2 little kids and some leftover for another meal. It’s actually a pretty good price. I’ve also learned to skip some of the steps (like making salad dressing). If the meals look too complicated, I make my own dish with their ingredients. It still saves me a lot of grocery shopping and planning time. YES on skipping some of the steps, like DIY salad dressing haha :). It’s great that you can wing it and make up a different dish with the ingredients they send you! I think you have to be pretty experienced to do that! Blue Apron is MUCH better than Gobble. It takes a bit more time but is worth it. 4 out of 5 times our Gobble package came severly damaged and raw meat juice leaked onto the produce making it unsuable. Sent them photos and complained and got partial refunds and credits towards future purchases but we continued to get broken packages so quit Gobble and went back to Blue Apron which has been perfect every time. Thanks for your input! Heh yes it does take much more time! I have had similar issues with Gobble packaging, too. Blue Apron uses a huge amount of packaging, though. Feels like such a waste each time! I used Gobble for a few weeks recently and then stopped when they weren’t picking up the boxes/materials for recycling anymore. I guess there is no perfect solution! Glad you are enjoying your meals :)! I’ve tried Blue Apron and just got dinner delivered from Door Dash tonight. Yes, it’s almost always more cost-effective to do the shopping yourself. I guess you’re paying more for the convenience of not having to meal-plan (though you lose some choice in what to eat) and not having to go to the grocery store. I had a bag of “knick knacks” missing once, and after I contacted Blue Apron, they gave me $19.98 off my next order… so I was satisfied with that result =). Thanks for sharing about your experience! Thanks for sharing both articles. I have never tried any of the services, but I saw Groupon for Hello Fresh & Blue Apron for $39 for 3 meals. I’m tempted to try it out. I’ve also seen another friend post on Facebook what he cooked from Blue Apron and it looks pretty good. It’s so good that it convinced others to try it out too. I see that each has its pros and cons. Wow, thanks! “Everyone” says Blue Apron is the best, but this was great to get the nitty gritty. Cost per meal, is that per person, or per meal that serves 3-4 people? 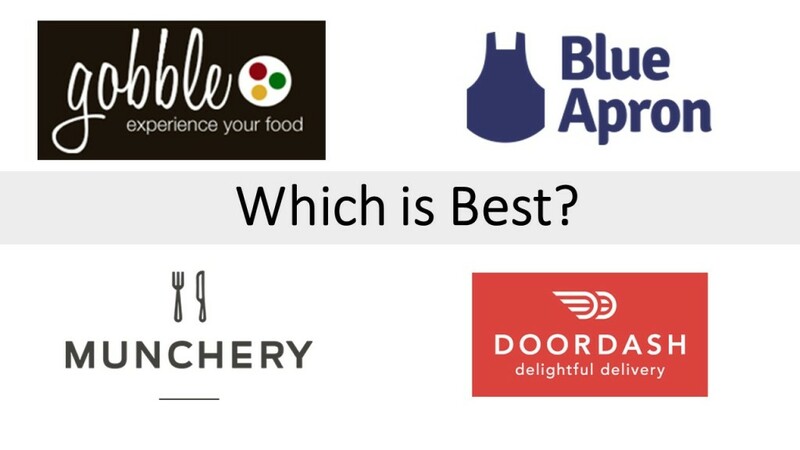 Yeah, Blue Apron does come out tasting pretty good, but if your goal is to maximize convenience and save the most time, it might not be the best option for ya. Cost per meal is one meal for one person. For example, Blue Apron usually comes out to about $60 for 6 “plates,” which is 3 meals for 2 people each. Sometimes they’re offered for cheaper (~$40) and I’m not sure why, but I usually wait for one of those weeks to select Blue Apron :). Why not save $20?